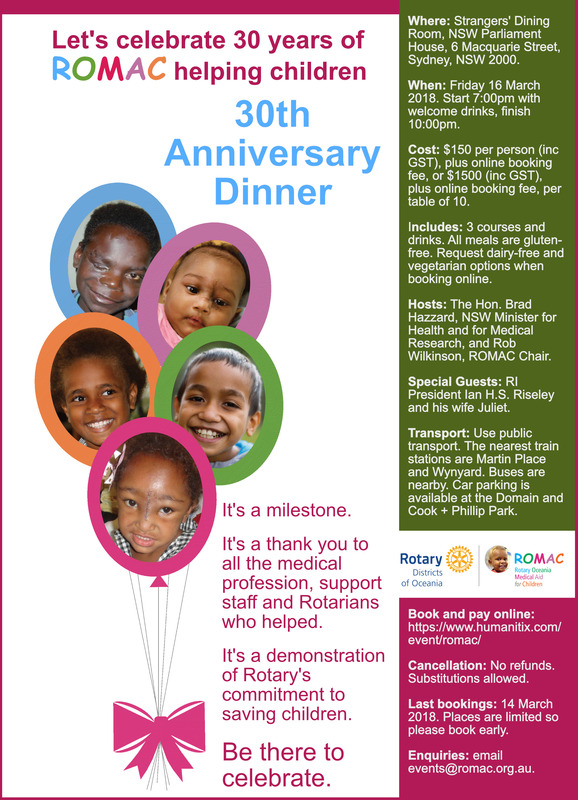 On Friday 26 October, the Rotary Club of Kangaroo Flat (Bendigo), Victoria, held a dinner to celebrate ROMAC’s 30th Anniversary. Club President Bruce McClure was the host. It was back in March 1988 that Rotarian Barrie Cooper, from the Rotary Club of Kangaroo Flat, and Dr. Bill Walker, from Newcastle, were on a Rotary-organised humanitarian trip to Fiji. They came across children who were in need of medical attention, requiring facilities beyond those available in Fiji. They decided to do something about it, and Annan Chand became the first ROMAC patient and was treated by Dr. Walker at the Newcastle Hospital. The Rotary Club of Kangaroo Flat initiated fund raising activities to support treatment of patients. Since then, more than 500 young people are now living a normal life, thanks to ROMAC and its supporters. ROMAC Chair, Rob Wilkinson, attended the dinner, along with Secretary, Jim Prokhovnik, and Operations Director, Carol Bourne. ROMAC Ambassador and former patient Rosie Lotawa travelled from Sydney, along with D9675 ROMAC Chair Maria Moran. Also attending was Dr. Murray Stapleton, who treated Jesse Ryder (for burns) back in 1994, at the Epworth Hospital in Melbourne. The Guests of Honour were Barrie Cooper and his wife Claribel who are still local residents. Photo: L-R Barrie Cooper; Dr. Murray Stapleton; Rob Wilkinson; Rosie Lotawa. 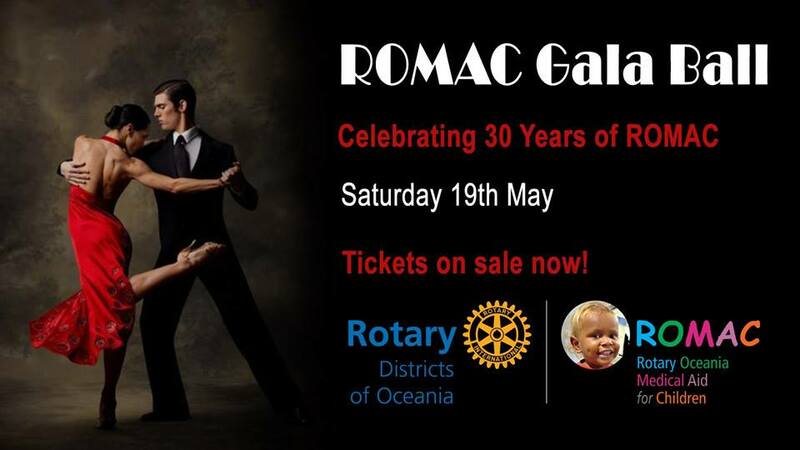 Eight months ago, a small committee consisting of 7 Rotarians from 4 Canberra Rotary clubs, including ROMAC District Chair Sandra Mahlberg, decided to hold a Gala Ball on 19 May 2018 to celebrate 30 years of ROMAC in Australia and New Zealand, They thought the event would also raise much needed funds for children’s treatment and share the ROMAC story. Despite some anxiety that verbal promises to attend would not result in ticket sales, the committee was thrilled to have 163 people on the night to make it a great success with good entertainment, food and wine and company. The 9-piece band called Smooth Ops played a variety of modern and old style music. The MC was Chris Jocelyne. ROMAC Chair Rob Wilkinson explained ROMAC and set the scene for former patient Rosie Lotawa to tell her life story and the miracle ROMAC provided to her. There was a live auction and a silent auction, together with a raffle and a lucky seat at the end of the evening. 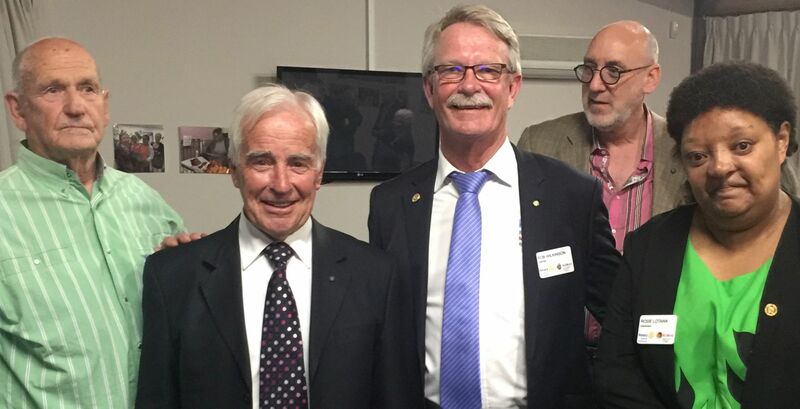 A PowerPoint presentation during the evening highlighted the involvement of 20 children, their families, carer families and Rotary Clubs in Canberra over the past 12 years. Many carer families were present, still supporting ROMAC and enjoying seeing photos of their ROMAC children on the screen. Canberra Hospital had a table of operating theatre staff. Prof David Croaker and his wife Helen attended. Prof Croaker has operated on most of the ROMAC children in Canberra. Liz Chatham, Director of the Women’s and Children’s Hospital, and her husband also attended. Liz has been very supportive of ROMAC since 2010. Thanks to Sandra and the committee’s hard work, the event raised about $20,000. Since each ROMAC patient costs about $25,000 to treat and support, they have ensured the future of another child. Well done Canberra. The ROMAC 30th Anniversary Dinner on Friday 16 March 2018 was a great success with 160 people celebrating 30 years since the first patient was treated. Click here to view ROMAC_30th_Anniversary_Dinner_Photo_Album.